The Way of the Warrior: Strength & Honour. Theirs but to do and die. Synopsis: General Maximus who has just conquered Germania is supposed to take the leadership of the Roman Empire after the emperor has died. But the emperor’s son kills his father, assumes the throne for himself and tries to kill Maximus. He can escape but becomes a slave and is being sold as “fresh meat” for the arena. There he makes a name of himself as “the Spaniard” until the day he faces the new emperor again. My Opinion: Great movie. Loved it from the first time I ever saw it. Had to buy the extended version at once. Has a lot of quotable scenes in it that I can recite both in english and in german. 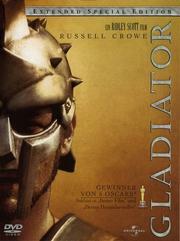 While I am oppsosed to dubbing in general they did a great job with this, the german voice of Maximus is well chosen. I loved the battles in the arena, especially the “battle of Carthage”. Synopsis: Will, Roland and Wat have a problem: their master, a former over-the-hill champion has just died during a tournament of jousting and they haven’t eaten for three days. Will decides to finish the joust in his master’s stead and succeeds. But what now? Now Will impersonates a knight and competes in the tournaments throughout France until he meets his greatest challenge at the World Championships in London. My Opinion: I’ve decided to switch between more serious movies and more funnier ones. 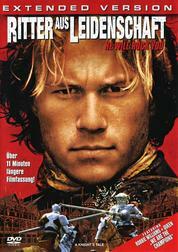 A Knight’s Tale is also a very good movie and watching it made me sad that Heath Ledger has already gone. The music is great and the story is funny and yet bears a certain seriousness,; it asks a very important question: “What makes a man ‘noble'”, a question that will come up again in Braveheart. I also liked how they used the music in the certain scenes (e.g. the dance scene). 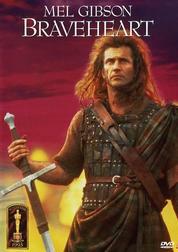 Synopsis: William Wallace’s father and brother haven fallen in battle while he was young. His uncle has taken him to France and Rome but now he has returned home: Scotland. Scotland is ruled by the english king Longshanks but when an english magistrate kills Wallace’s wife he starts a rebellion and that rebellion escalates into a war for the freedom of Scotland. My Opinion: The very first DVD I ever bought and one of the first movies I’ve watched in english. The movie isn’t historical correct but hey – it’s a movie and history is written by those who hanged their heroes. 😉 What I also liked about this movie was the fact that the people bled when they received blows by swords, axes and other sharp objects while in the sword-fighting movies of the fifties and sixties no wounds were to be seen. The good guy usually stabbed the bad guy in the belly and then the bad guy fell from a wall or a cliff. But not in Braveheart. Here throats are slit, extremeties hacked off and skulls are cracked open. But in the end, they’ve won their freedom. Synopsis: The Musketeers are disbanded and the protection of the french king is done by the Cardinal’s personal guard. But he plans to assassinate the young king and take his place. But there are three Musketeers that won’t give up: Athos, Porthos and Aramis – and a young man who wanted to join the Musketeers: d’Artagnan. Together they fight to protect the king: One for all and all for one. My Opinion: I’ve been loving sword movies for a long time. Scaramouche, The Three Musketeers, The Man in the Iron Mask, The Count of Monte Christo. I watched them all long before they were remade in the nineties. 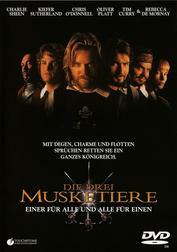 This one I also enjoyed very much, but mainly due to the three original Musketeers and the brilliant Tim Curry. And I love the song sung by Bryan Adams, Sting and Rod Stewart. I can listen to it every day. The Three Musketeers was one of my favourite childhood books. Synopsis: Captain Algren is a war veteran and a drunk. But then the japanese offer him 3 years of Captain’s pay for 6 month of work. His job is to train the new japanese army in the use of firearms. Although it isn’t ready this new army has to fight against the acient protectors of Japan: the Samurai. 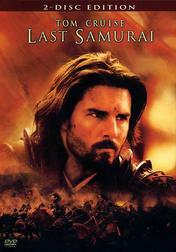 Many die in that battle and Algren gets captured by the leader of the Samurai: Katsumoto. During the winter he stays with them and learns about them. When he returns the next spring he has become a Samurai. My Opinion: Another great movie about honour. I admire strong yet honourable warriors, that’s why I love the Klingons in Star Trek (from The Next Generation onwards) and the Jaffa like Teal’c in Stargate SG-1. The movie was a bit unrealistic in regards to wounds (especially Algren’s) but the battles were great. I adore the Samurai Katana. When I learned that Ken Watanabe would play the general in Letters from Iwo Jima I was excited. 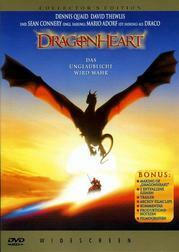 Synopsis: When the young prince Einon is dying, his mother persuades a dragon to give him half his heart. Although Einon has been taught about the old ways both by his mother and his sword teacher Bowen he becomes as ruthless as his father was. Bowen blames the dragon and becomes a dragon slayer. But then he meets Draco, the last of his kind. Then they take the fight to Einon because Draco has also a score to settle with him. My Opinion: Sean Connery has done a marvellous job in voicing Draco (although the german voice of Mario Adorf isn’t that bad either) and Dennis Quaid is a great knight of the old ways. I enjoyed it very much and often forgot that Draco is “just an animation”. Funny thing is, this was the first time I ever saw David Thewlis and when he was cast as Remus Lupin in Harry Potter I was sceptical (because he was a bad guy here) but it worked very well (the fact that I don’t like the third Harry Potter movie that much aside). PreviousPrevious post: It is done! There’s no kill like Avada Kedavra!